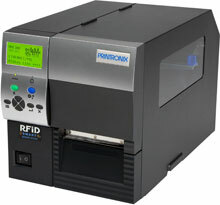 Printronix SL4M - RFID Printer, UHF, Thermal transfer, 4" Print width, 305 dpi, Ethernet/USB/Serial/Parallel Interfaces. The Printronix SL4M is the price-performance leader of the Printronix SmartLine series of RFID printers for industrial and commercial applications. 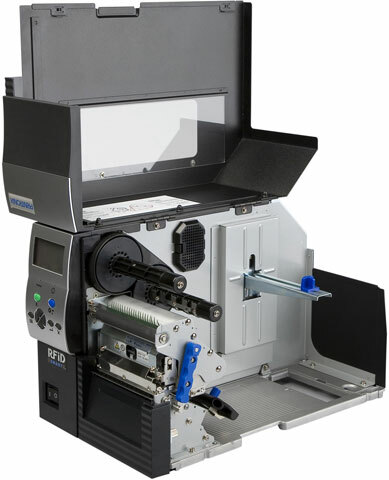 Based on the Printronix reputation for reliability, durability, and dependability, the SL4M uses the same MP2 encoding technology and PSA3 advanced electronic architecture found in the high performance SL5000r printer and SLPA8000r high speed printer applicator. It builds upon Printronix growing leadership and established RFID ecosystem to support manufacturers, retailers and government agencies seeking to improve their supply chain management with RFID technology. 4" x 2.5" Paper label. 4" x 4" Paper label. 1500 labels/roll, 4 roll case. 4" x 2" Paper label. 2,800 labels/roll, 4 roll case. 4" x 6.5" Paper label. 900 labels/roll, 4 roll case. 6" x 4" Paper label. Fanfolded. 4,000 labels/case. The Printronix SL4M3-3101-00 is also known as PTX-SL4M3-3101-00	or SL4M3310100	.